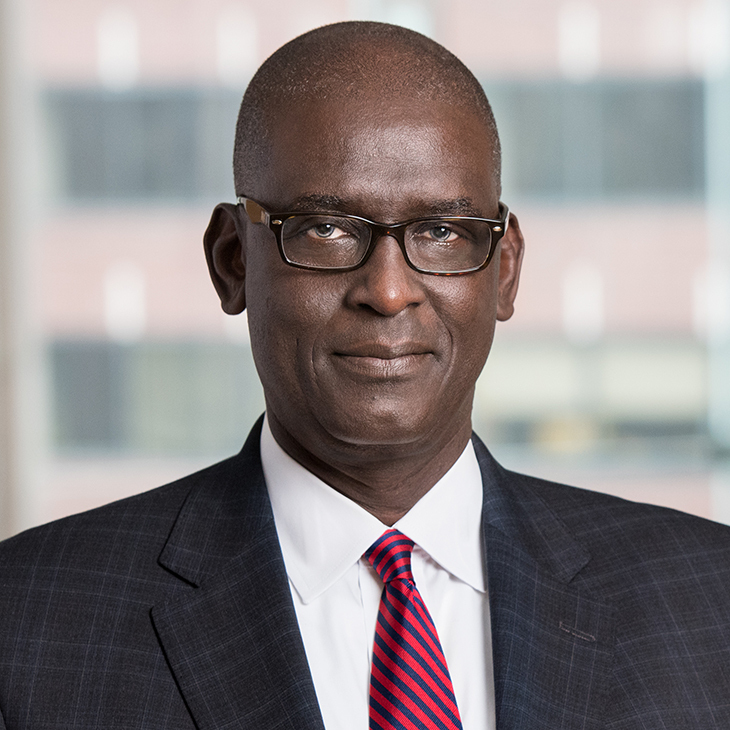 Kalidou Gadio, who leads Manatt’s Africa and MENA initiative, leverages his more than 28 years at the African Development Bank, including eight years as its general counsel, to counsel African governments in legislative reforms, institutional capacity building, and advises sovereign corporations, private enterprises and public-private partnerships on project finance transactions, including developing local capital markets. In litigation and international arbitrations, he advises in disputes involving foreign investors in mining and oil and gas. Kalidou is well versed in strategic and economic development projects involving energy, natural resources and infrastructure. He advises developers, construction companies, financiers and sovereign states on financing structures, risk allocation, financing arrangements, and relevant security packages and considerations, while also conducting KYC due diligence. While with the African Development Bank, Kalidou played a critical role in creating Africa50—a new investment bank for the continent of Africa with a stated capital of $3 billion. He was instrumental in setting up the African Legal Support Facility (ALSF) to provide legal services for African governments negotiating major commercial or infrastructure contracts. He also played an important role in the negotiation and implementation of the Treaty on Anti-corrupt practices in the procurement of projects financed by multilateral financial institutions. Early in his career, Kalidou practiced law at an international firm in Paris, then at another in New York. A native of Mauritania, he is fluent in English, French, Fulani and moderate in Arabic. Moderator, "Digital Finance: The New Deal," Corporate Council on Africa’s Africa Finance Forum, Washington, D.C., April 18, 2018. Panelist, “Africa Islamic Infrastructure Financing Opportunity & Demand,” Islamic Development Bank Annual Conference, May 16, 2017. Frequent guest speaker at Harvard Law School on African economic issues; IBA, the East African Bar Association; the French Speaking Bar Assocation; The World Bank law, justice and development week and the Amercian Bar Association. Author, “The Role of the General Counsel: The African Development Bank Perspective,” International Economic Organizations and Law: the Perspective and Role of the Legal Counsel, Crown, 2012. Author, “Fostering Development through Opportunity, Inclusion and Equity,” World Bank Legal Review, vol 5, 2014. Counsel to the IMF/WB and the AfDB staff program report on the Financial System Assesement Stability of Senegal, August, 2001.